Dominica’s Citizenship by Investment Programme is one of the oldest programmes of its kind in the world. Since its beginning in 1993, the nation has consistently enhanced its offering to investors, becoming one of the most popular paths to economic citizenship today. Consistently improving the product over time, the journey to citizenship is simple yet secure. The application typically takes about three months to process, but remains strict in its attention to due diligence, which ensures only the best (and law abiding) candidates need apply. There are no language or education requirements, nor is there a requirement to attend a face-to-face interview, or reside, on the island. These are welcome aspects of the Programme for the busy international businessperson, who may not have the time to travel to the island, or learn English (Dominica’s official language). Being a citizen of the Caribbean’s Nature Island is more than simply having rights to live on the beautiful tropical island. It also provides access to a unique Global Community – a business network that welcomes entrepreneurship from all over the world. In addition to this, Dominica has an optimised tax system, with no wealth, gift, inheritance, foreign income or capital gains tax. Currency is pegged to the US dollar, which also provides certainty and sustainability in exchange transactions. 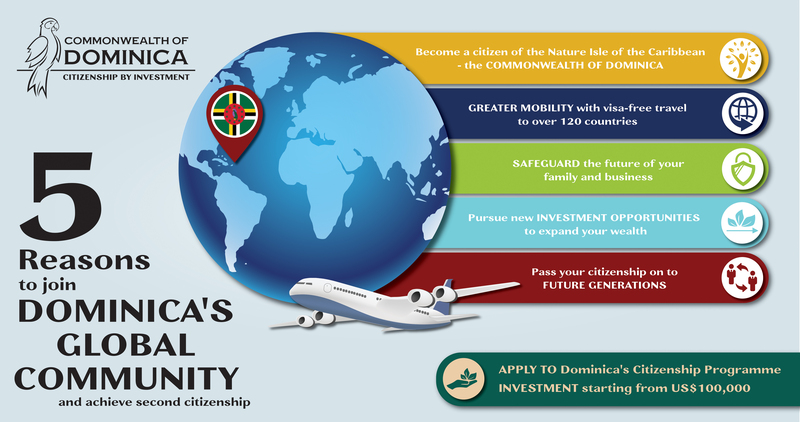 Starting from US$100,000 for a single applicant, investing in Dominica’s Citizenship by Investment Programme is not just the most efficient way to achieve second citizenship, it is also the most affordable. With more than 120 visa-free travel destinations available, Dominica citizenship enables investors to travel more broadly, and presents opportunities to invest in a growing economy. There are two different pathways to achieve second citizenship in Dominica through the Citizenship by Investment Programme. One is by making a direct investment into the country’s future, achieved by investing into the Government’s Economic Diversification Fund. The other method is by investing in luxury real estate on the island. The real estate option for Dominica continues to grow in popularity, not least because of the high profile brands launching projects on the island nation. 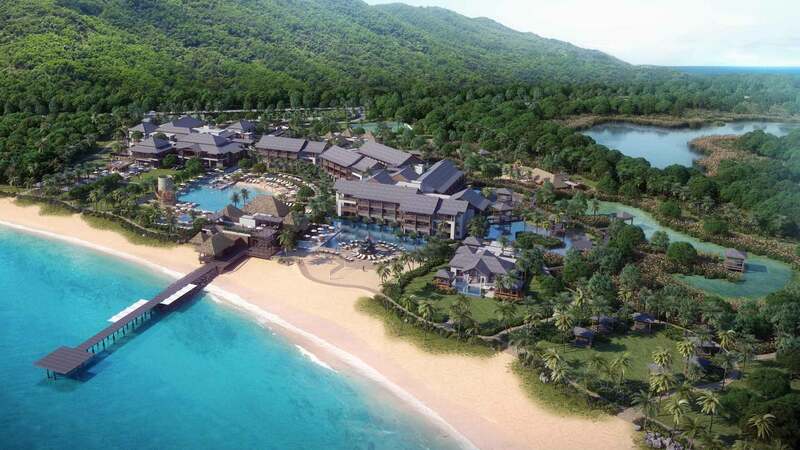 The latest project on the move is the Marriott International’s Anichi Resort and Spa – a luxury hotel that began construction just a few months ago. 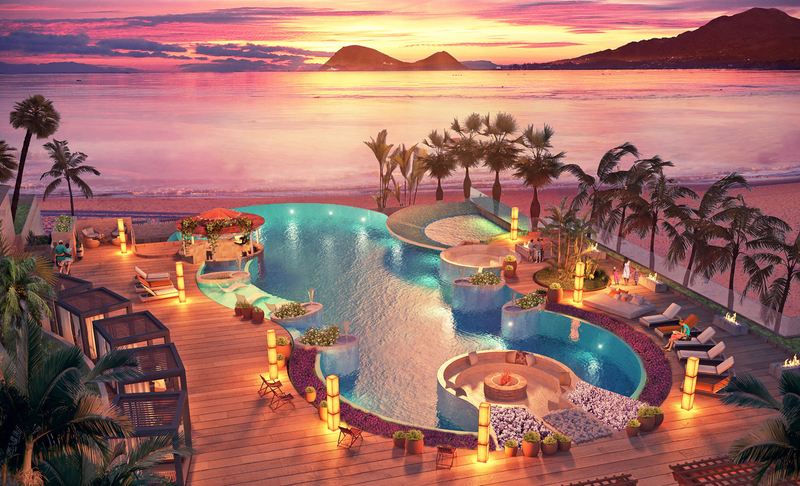 Scheduled to complete in 2019, the Resort is described as “a place to renew your spirit and come alive again,” featuring to speciality restaurants, swim-up bars, infinity pools, and a lavish ballroom. 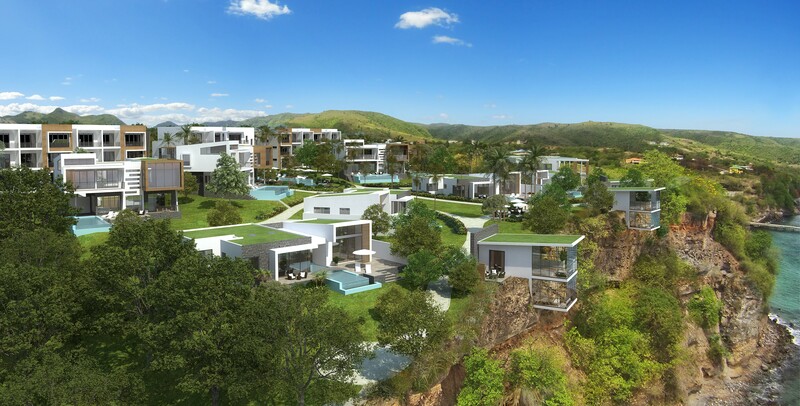 For an investment of US$200,000 in a Government Pre-Approved Real Estate project like this one, and a contribution to the Government of US$35,000, a family of four can receive citizenship of the Commonwealth of Dominica, as well as a share in luxury real estate on the island. If the Hilton brand is more your style, then Tranquility Beach may be a suitable alternative. A coastal haven, this development has received accolades for its architectural design and is offering investment opportunities for condominiums and villas of varying sizes and configurations, some of which will be built out from the cliff’s edge for spectacular views. Posted in Articles, Guest Content.